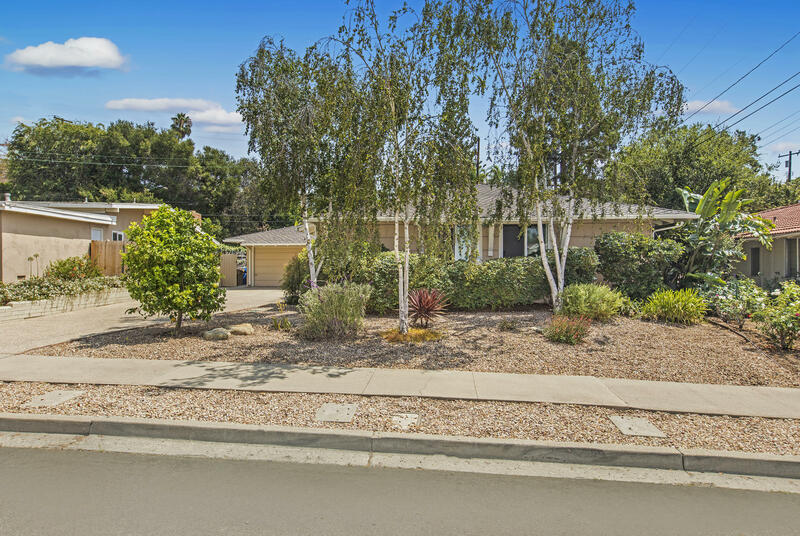 Incredible opportunity to own in a prime san roque location just steps to willow glen park and monte vista school at this price per square foot. Single level with an enlarged, versatile floor plan with potential for an in-law unit (or adu?) the large, naturally lit and open living room flows beautifully to the pool area for the coveted indoor-outdoor living style. 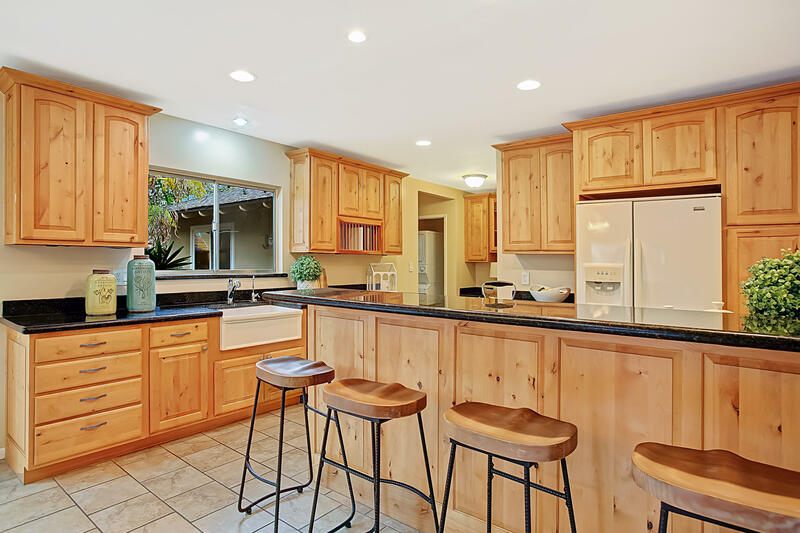 Watch your guests and family enjoy the pool and garden from the kitchen with updated cabinets, pantry and custom storage. The approx. 23 acre lot hosts a resurfaced pool with automatic cover, spa, large upper garden area, and a shed. Additional upgrades include two solar systems, lifetime warranty presidential comp shingle roof, extra storage, custom library-style sliding bookcases, dual pane windows, and updated bathrooms. Amazing views with this 4 bd/2 ba mid-century modern house on the quiet vista elevada cul-de-sac street. Spacious front deck allows views from open kitchen/breakfast bar, dining and large living room. In the kitchen is an island counter lit by dual pendant lights and vaulted ceilings, new white shaker cabinets, kitchenaid stainless steel appliances, farmhouse sink. Padlock lockbox on property, please call or text steve hovdesven at 805-453-2062 to receive code. Ready to move in! Ac is ready to hook up. Great views from back elevated patio area. 2 car garage. 5 minute drive to the sb mission! This light-filled 4-bedroom, 3-bath single-level home is located in the desirable hidden valley neighborhood. 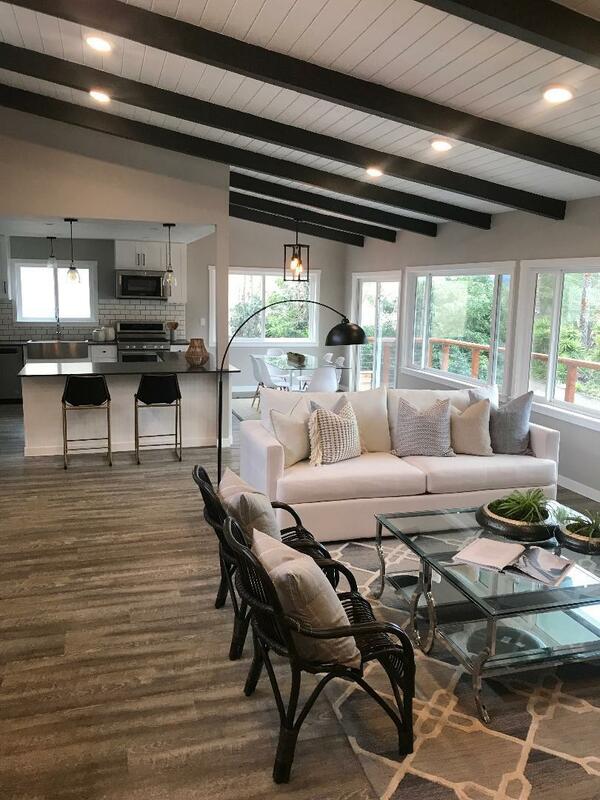 Graced with over 2200 square feet, it features two master suites, a welcoming living room and dining area, a beautifully remodeled kitchen, two fireplaces, and gleaming hardwood floors. Updates include fresh interior paint, new sliding glass doors, alder wood kitchen cabinetry, granite countertops and a jenn-air stove. The spacious yard is fruitfully abundant with orange, lemon, rangpur lime, and haas avocado trees. Just a few minutes' drive to the beach or downtown, enjoy everything santa barbara has to offer! This is the quintessential california home! South facing, and enhanced by a beautiful expansive deck perfect for entertaining big and small. The treetop views toward st anthonys and the islands beyond must be seen. 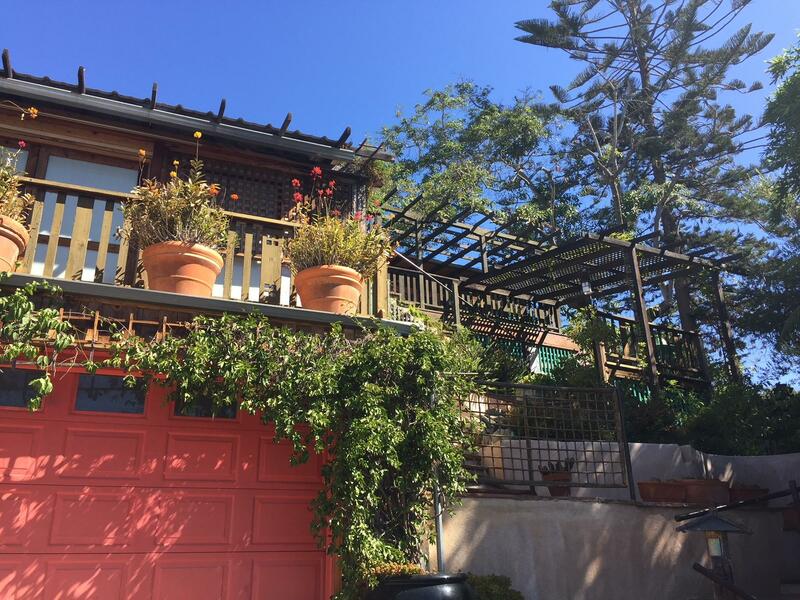 A beautifully terraced walkway leads to the front door, and set along the way is a wonderful art studio filled with natural light & city vistas! As a bonu$, one of the bedrooms has its own private entrance & lives like the perfect studio! 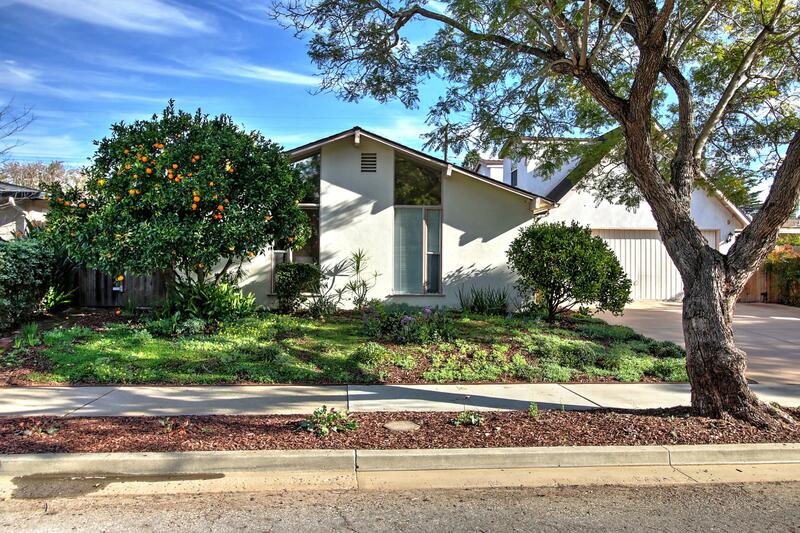 Drought tolerant plantings & a luscious mature citrus orchard complete the landscape. Plenty of storage & a two car garage. Full of custom craftsmanship & on the market for first time in over 20 years, roosevelt school, & close to everything santa barbara offers. A special property. Sweet cul de sac location! 337 peach grove lane is a 2,100 sq. Ft. , four- bedroom, three-bathroom home, with a bonus room, office, mudroom and a second story master suite. It is on a nice, quiet street and is located down towards the end for extra privacy. Close to shopping, restaurants and is located in the coveted vieja valley school attendance area.